Canada and the European Union are working out the final details of their newly minted Free Trade Agreement. The first of these modern agreements will be completed with Canada in the midst of new agreements being discussed with Brazil as well as added access for Colombians and with Mercosur as a whole. The Canadian agreement is unique as it addresses agreements on mutual access to government procurement contracts between Canada and the EU. With many BRICS nations needing to change their economies from manufacturing exports and exporting natural resources into more research intensive skills, a Canada-EU style agreement may make it easier for the movement of Research and Development as well as Intellectual Property into places like China and Brazil. It is no secret that recent government policies in BRICS nations are focused on expanding their own growing R+D programs, promoting local skills and technology outside of their own region. With the aging population in China, the young workforce that was responsible for China’s manufacturing boom will not be able to keep up the production of low cost products forever as there are not enough younger workers to replace the current generation of labourers. A dedicated shift to more high tech skilled labour is China’s future, and agreements that address R+D might keep China’s economy in steady growth in the future. Brazil and Latin America’s move to become more than raw materials exporters involves investment in diverse and advanced skills in order to take advantage of raw products, produce them into manufactured goods, and have the Intellectual Property base to have those items compete on the world stage while keeping the investment and knowledge in places like Brazil. Europe is trying to find a way to boost their own economy, and tying itself to the healthier economies of China, Canada and Latin America might enable the Europeans to remain a major player in the world economy. Anyone who has moved to a place like Canada, Argentina or Chile with a professional education, only to find that their education and career growth is hindered by red tape, bureaucracy or a general anti-competitive attitude in the employment market might gain some advantages under a Canada-EU style agreement. The new agreement provides for some recognition between professional skills between Canada and the European Union. Under the European system, national and regional governments cannot prohibit professionals from other EU countries from practising their skills in different European nations if they can prove that they have the skills and training to accomplish their goals in the other EU nation. Government and private sector limitations on professionals or workers from other parts of the EU are measured against fairness in their application, and any non-essential restrictions are diligently dissolved. In Canada, a major issue for foreign trained workers is that most foreign training, even training that is more in-depth and advanced than what is available in Canada, is considered only with heavy bias against it in the Canadian system and job market. Many standard approaches to re-certification and skills recognition in Canada would be considered as anti-competitive, and in some cases discriminatory in the application of those regulations in the EU system. 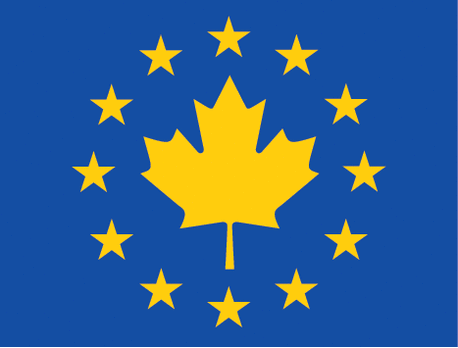 Agreements between the Canadian government and the EU may have been an intentional action by the Canadian government to by-pass restrictions to European workers contributing in a sufficient way to the Canadian economy and force a change in Canada’s employment culture in accepting non-local talent. Many professionals from Spain had made their way to Latin America in order to gain the experience needed and gain employment with a severe jobs shortage currently in Spain. While the Southern Cone took in one of the greatest migrations from southern Europe in the early 20th century, modern bureaucratic limitations in taking in and recertifying Spanish nationals who wish to work in Latin America and who are desired in the job market get held up for years in some cases with no benefit to the employee or their new community. With Latin America often being the traditional exporter of its culture and citizens, there is no advanced preparation for new immigrants to Latin America. While debates on NAFTA dominated the headlines in the 80s, there have been little critical accounts of the Canada-EU Free Trade Agreement on either side of the ocean. This might change with the US discussing a similar agreement with the EU, but for the time being it is mostly some Canadian industries that feel they will be the losers in an overall beneficial agreement. I personally think some Canadian cheeses can compete with some of the best of their European counterparts, maybe benefitting by employing Europeans trained accountants and lawyers in the process.